Today, Tamil Nadu perhaps India is crying for their very own Amma. This grief is no less than the grief of the death of someone’s family member. The state today lost their leader, Jayalalithaa Jayaraman, commonly referred as ‘Amma’ and ‘Puratchi Thalaivi’ by her followers. 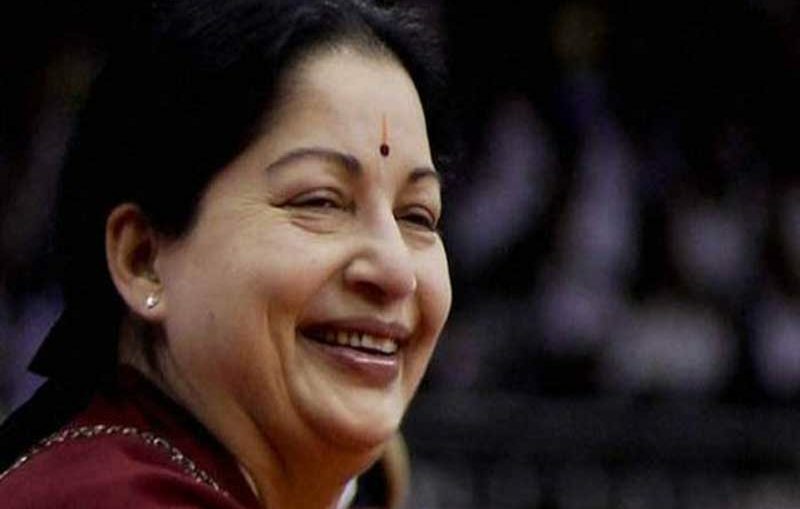 Jayalalithaa was admitted for more than two months in the Apollo Hospital, Chennai. She had suffered a massive cardiac arrest on Sunday, after that her health was constantly deteriorating. Today at 11:30PM doctors declared her demise. She was admired by the people across political parties, people across ages and professions. Jayalalithaa ensured free medical checkups in villages for poor to prevent the outbreak of disease. Since her childhood, she wanted to study law for the protection of poor. But for some reasons she dropped her idea of law and followed her aunt’s path in Tamil films. She had done 140 films in 6 languages including 92 Tamil films, 1 Malayalam, 1 English film and 1 Hindi film and 28 Telugu films and 6 Kannada films. She was the highest paid Indian actress from 1965–80. 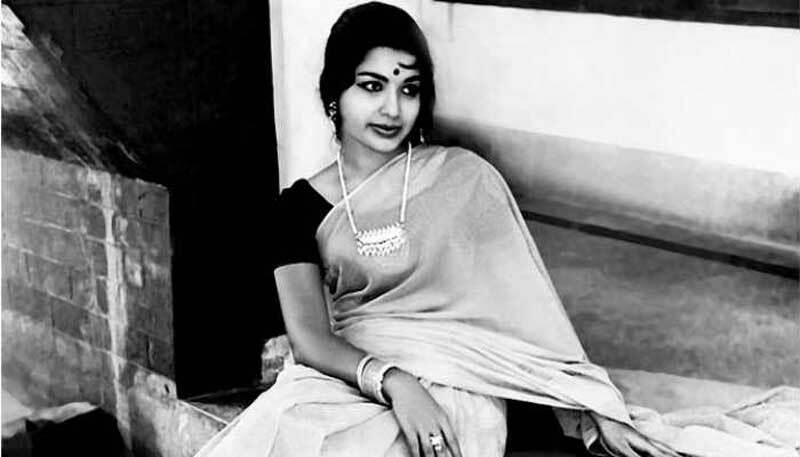 Her successful film career started with Vennira Aadai in 1965, in which she played a lead role. 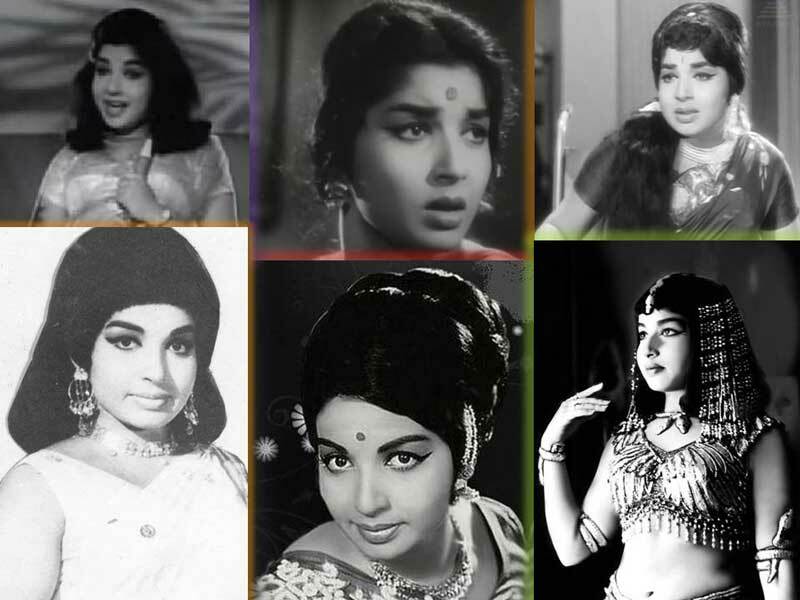 In 1966, she had 11 successful releases in Tamil. She acted with Ravichandran in 10 hit Tamil films. She won National Film Award in 1973 for best feature film in Tamil Nadu for her acting in Pattikada Pattanama opposite Sivaji Ganesan. For this film, she got Filmfare Award for Best Actress. Her performances in Chandhrodhayam, Adimai Penn, Engirundho Vandhaal fetched her Special Award from Filmfare and Tamil Nadu government in 1966,1969 and 1970. Her performance in Pattikada Pattanama and Suyagandhi gave her the Filmfare Award for Best Actress in Telugu in 1972 and 1973. She acted in the Telugu Sri Krishna Satya in 1973 that also fetched her Filmfare Award for best Actress in Telugu. 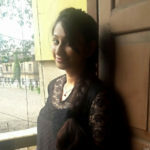 Her last Telugu film was Nadhiyai Thedi Vandha Kadal but in 1980, her last film where she played the lead role was a Telugu film Nayakudu Vinayakudu, which became the highest grosser of the year in Telugu. The heroes of her film never complaint to the title of the film being bestowed on the female lead played by Jayalalithaa. Ramachandran was the lead hero in the Adimai Penn, Kanni Thaai and Kannan En Kadhalan but the story was based on the character played by Jayalalithaa, even the titles were based on her character. She did many female centric films including Gowri Kalyanam, Thanga Gopuram, Annamitta Kai, Vennira Adai, Thirumangalyam, Avalukku Ayiram Kangal, Yaar Nee?, Kumari Penn, Nee, Suryagandhi, Magaraasi, Muthu Chippi, Kanavan Manaivi, Yarukkum Vetkam Illai and Vandhaale Magaraasi. Jayalalithaa won the Tamil Nadu State Film Award for Best Actress for Thanga Gopuram in 1971, Raman Thediya Seethai in 1972, Suryagandhi in 1973, Thirumangalyam in 1974, Yarukkum Vetkam Illai in 1975. According to Amma, the then chief minister of the state since 1977, M. G. Ramachandran was introducing her to politics. 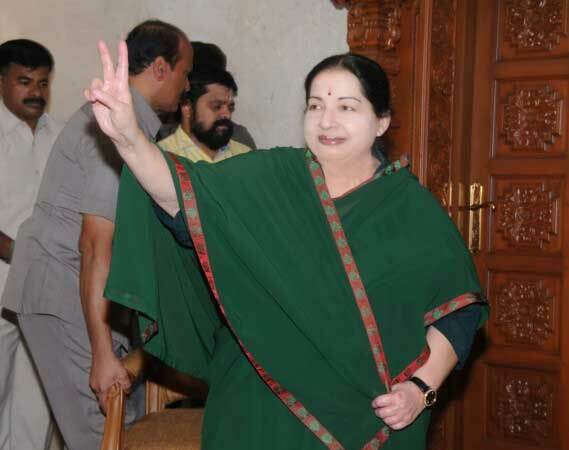 She joined the All India Anna Dravida Munnetra Kazhagam (AIADMK, founded by Ramachandran) party in 1982. She became the propaganda secretary of the party in 1983 and was selected as its candidate in the by-election for the Tiruchendur Assembly constituency. After the death of M. G. Ramachandran, she won elections and became the first women opposition leader in the legislative assembly of Tamil Nadu. After the death of Rajiv Gandhi and her alliance with the Congress boosted her vote bank and in 1991 she became the first chief minister of Tamil Nadu. In 1996, opposition DMK came to power and several corruption charges were made against her and her ministers. She was arrested in 1996 because of the charges. She again regained her power in 2002. She won and served her state from 2002-2006. In 2011, Jayalalithaa was sworn in as the CM of Tamil Nadu for the third time. But in 2014, she was convicted in an 18-year-old disproportionate assets case that was launched by Janata Party President Subramanian Swamy. 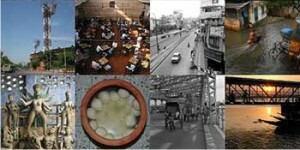 She was sentenced to four years in jail and fined Rs 100 crore. Later, the Supreme Court granted her two months’ bail and suspended her sentence. Amma returned to her position in 2015, she was sworn in as the CM of the state. She was again elected in 2016. She will always stay in the heart of her followers.